Sometimes typing longer documents on your smartphone device can be a little awkward on such a small screen. However carrying a separate keyboard can also be just as cumbersome and awkward. 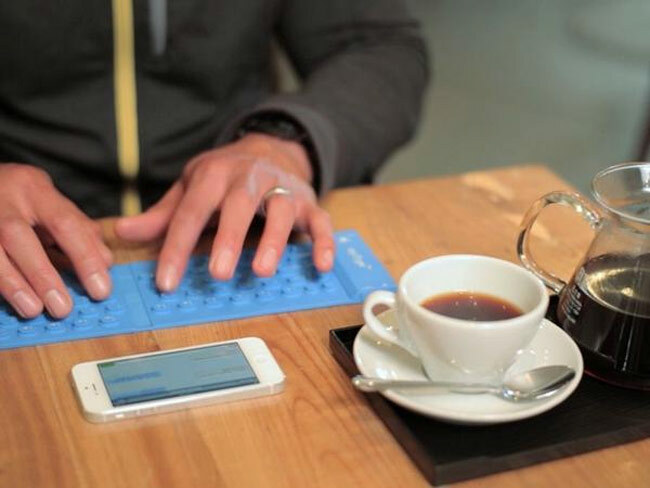 But now a small pocket flexible myType Keyboard has been designed to help alleviate these problems. The new flexible myType keyboard is a small Bluetooth keyboard that has been designed to provide the convenience of a full-size keyboard to use with your smartphone or tablet device. Watch the video after the jump to learn more about the new myType keyboard. “The myType Keyboard is designed to be the most comfortable and convenient keyboard to take with you on the go while also providing the efficiency of a full-size keyboard when you need it. When folded, it fits comfortably in a pocket. It is lightweight, ultra-slim and compact allowing you to easily take it with you just like you take your smartphone or tablet. The myType Keyboard project is currently over on the Kickstarter website looking to raise enough pledges to make the jump from concept to production. So if you think myType is something you could benefit from, visit the Kickstarter website now to make a pledge and help the myType Keyboard become a reality.